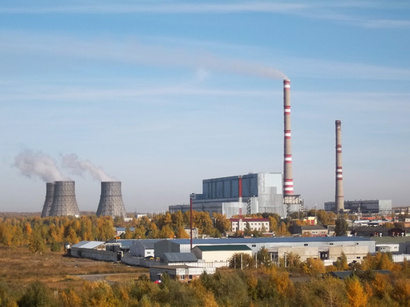 Russia’s Silovye Mashiny PJSC will carry out a stage-by-stage modernization of six power units of the Syrdarya Thermal Power Plant (TPP) on a “turn-key” basis. The company will carry out the modernization of turbine, generator, boiler and auxiliary equipment of power units # 3-6, 9 and 10. Automatic control systems for technological processes will also be introduced. Reconstruction of automatic control systems, construction and installation, installation supervision, commissioning and warranty testing to confirm the claimed capacity increase will be carried out. Completion of the modernization is scheduled for 2020. "Modernization of the largest energy facility in Uzbekistan will reduce the electric power deficit in the region and increase the reliability of the country's power system. Starting from 2018, Silovye Mashiny undertakes to modernize two power units on a turn-key basis every year - this is one of the features of this contract, because for such a large amount of work in our industry this is a rather short time," said Yury Petrenia, General Director of the company. The established capacity of the Syrdarya TPP - the largest thermal power plant in Central Asia - is 3,000 megawatts (10 energy units having 300 megawatts capacity each). In 2002, Siemens AG carried out $45.4 million worth of reconstruction work at two energy units of Syrdarya TPP (seventh and eighth units). The project was financed by a $27.8 million loan from the European Bank for Reconstruction and Development (EBRD) and Uzbekenergo's funds. In 2009, Russia's Silovye Mashiny JSC carried out about $20 million worth thorough reconstruction repairs at the fifth energy unit. The project was financed by Uzbekenergo's own funds. In 2013-2015 the company completed a full-scale upgrade of power units № 1, 2 of the Syrdarya TPP with an increase in capacity of 50 MW up to 650 MW. Uzbekistan is the largest electricity producer in Central Asia. Total installed capacity of Uzbekistan’s power plants exceeds 12.4 GW. Twelve thermal power plants, with a combined capacity of over 10.7 GW, and 31 hydro power plants, with a combined capacity of 1.7 GW, belonging to the Uzbekenergo, the Ministry of Agriculture and Water Resources, the Mining and Metallurgical Company Almalyk and the Uzkhimprom Association, constitute the backbone of the electricity sector.